From the guy who brought us the Verbarius clock comes the Segmentus. (Is anyone else noticing a naming pattern here?) 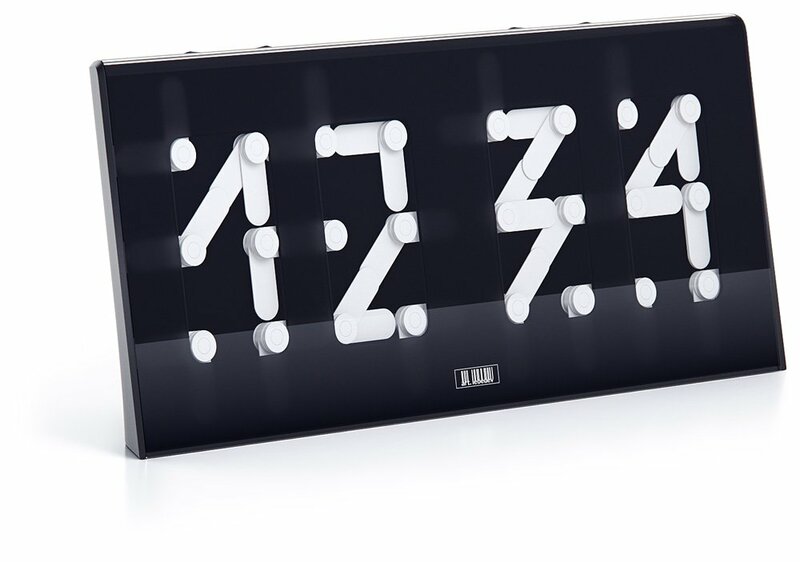 This concept clock was built to address the challenge of creating a digital clock with hands. While clocks have addressed this challenge before, this one brings the usual Art Lebedev polish to the final product. The only thing I want to know is how noisy would this be to operate? With dozens of little motors and mechanical parts, this might not be a clock that you would keep in your bedroom.